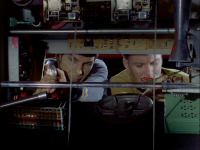 - Vulcans are inexplicably referred to as "Vulcanians" in this episode. - Who beamed up Kirk when he returned to the ship to find it deserted? 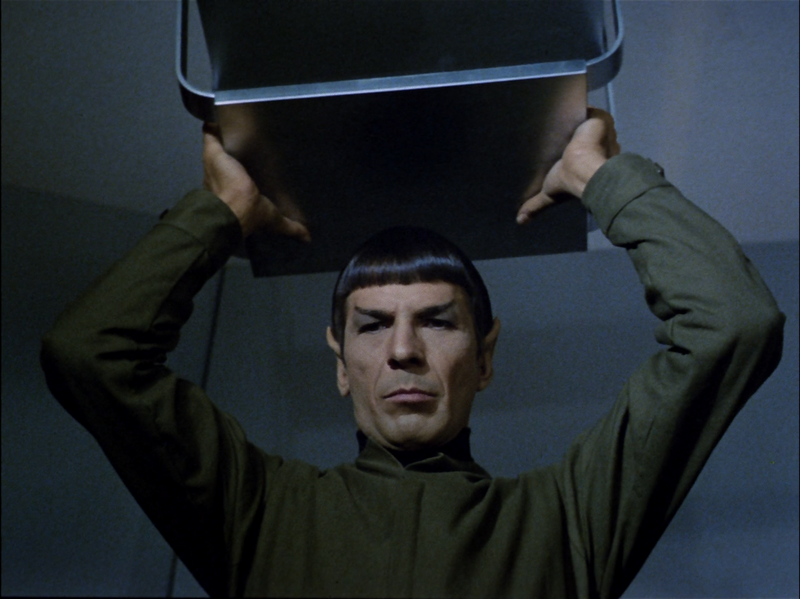 - When asked for his full name by Leila, Spock answers, "you couldn't pronounce it." This implies that all Vulcans do indeed have multipart names like humans, but casually shorten their names so that other species can interact with them. - According to Spock, his mother was a teacher. His father was an ambassador. 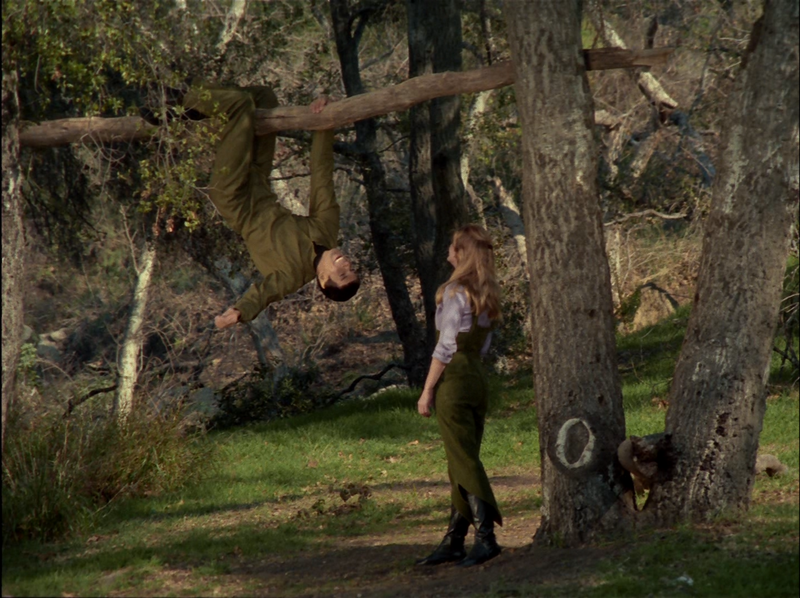 - Spock hanging from a tree. 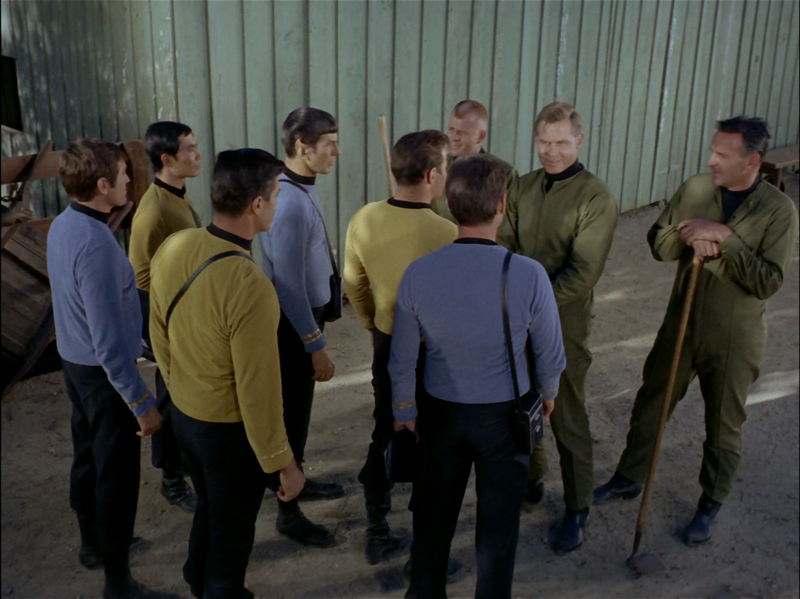 - Kirk getting irritated at all the infected crewmen. - Kirk alone on the bridge. - Kirk: "Maybe we weren't meant for paradise. Maybe we were meant to fight our way through, struggle, claw our way up, scratch for every inch of the way. Maybe we can't stroll to the music of the lute; we must march to the sound of drums." - Spock: "For the first time in my life I was happy." Much like The Return of the Archons, the pacing of this episode is mind numbingly slow. It takes twenty minutes for the story to finally get to the point which is (for the most part) the emotional unraveling of Spock. Once Spock's emotional control is finally destabilized, we get a reasonably amusing story which explores Leila's unrequited love for Spock and Spock's secret desires to explore his humanity. Unfortunately these themes are not explored in much depth though because the story focuses mostly on the silly mutiny aboard the Enterprise. 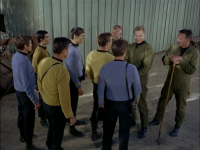 While Kirk does an excellent job dealing with the silly mutiny in a professional and innovative fashion, the mutiny wasn't a terribly interesting plot thread to begin with. Another one of the episode's missteps was the overwrought capabilities of the flower drug in the first place. 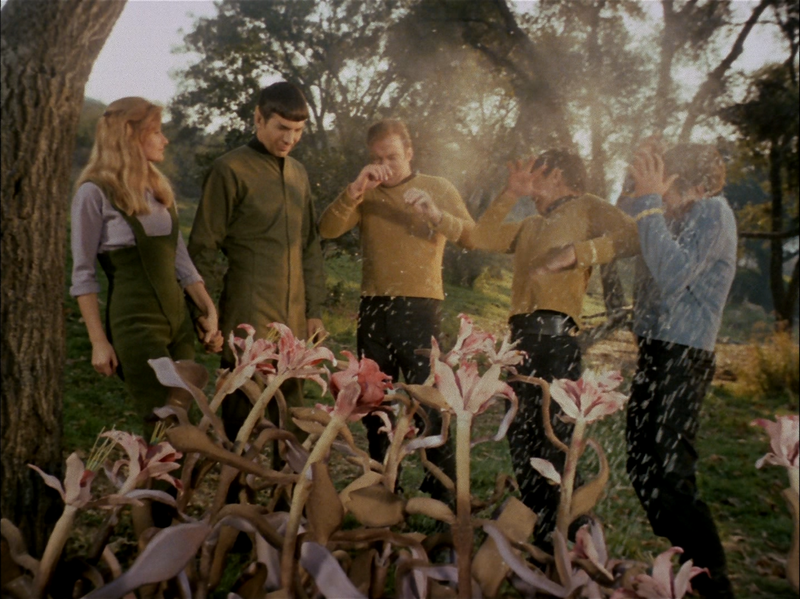 By the end of the story we learn that consumption of the flower spores can not only insulate people from deadly radiation, but that it can also vastly improve physical health, an effect which McCoy even mentions is permanent in the final scene. For that reason alone these flowers should be harvested and studied for their medicinal use, but no serious mention is ever made of their incredible scientific potential. They are instead only regarded as a pest for their mutinous side effects. 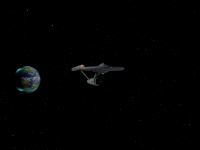 Once again a Star Trek episode fails to thoroughly think through the implications of a plot device. Overall the episode is mildly entertaining. If you can sit through the first twenty minutes without getting too terribly bored (which is challenging), it can be a lot of fun to watch the main cast run around doing crazy things once they all get infected. 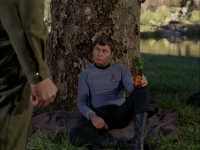 The story also offers some decent character development for Kirk as well as Spock. 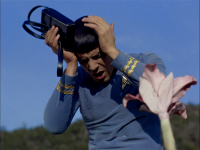 A better episode however would have limited the scope of emotional destabilizations just to Spock for the sole purpose of exploring his constant struggle with emotions due to his "half-breed" nature. We got a taste of how good a story that could be in both this episode as well as previously in The Naked Time and I believe a story focused solely on that would be a superior piece. -Kirk making Spock angry. This part has some of the most funniest dialogue in the franchise! Your father was a computer, and your mother was a librarian. You should be squatting on a mushroom. Classic! 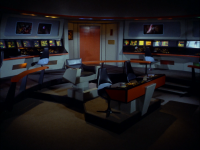 -Kirk walking around an empty ship. They writers actually allow Kirk to reflect on it. -Spock’s love story, which is done very well. I think this episode also has a meaningful lesson: A society in paradise cannot advance itself. To top is off, there’s a great, grim line from Spock that ends the episode, as opposed to the cheerful jokes that often end TOS episodes. When Kirk beamed back up, there were many crewmen left. In fact, he ordered some back to their station. I just watched this again on Blu-Ray, and I still love it. The picture quality has been upgraded dramatically. Specifically, there are many scenes that take place outside in the sunshine, which shows off the high contrast of HD. "This Side of Paradise" or "The Amish on Drugs, but without a religion"
Vulcans and Vulcanians. Just like Australians and Aussies, Dutch and Netherlanders, New Jerseyans and New Jerseyites, or Brits and Britons, etc. No biggie. Several states in the U.S. have multiple names for their residents (see http://en.wikipedia.org/wiki/List_of_demonyms_for_U.S._states ). Some countries do, too. BTW, I do prefer "Vulcan," but I can go with Vulcanian. Adds some variety and spice, if you like. "Who beamed up Kirk?" 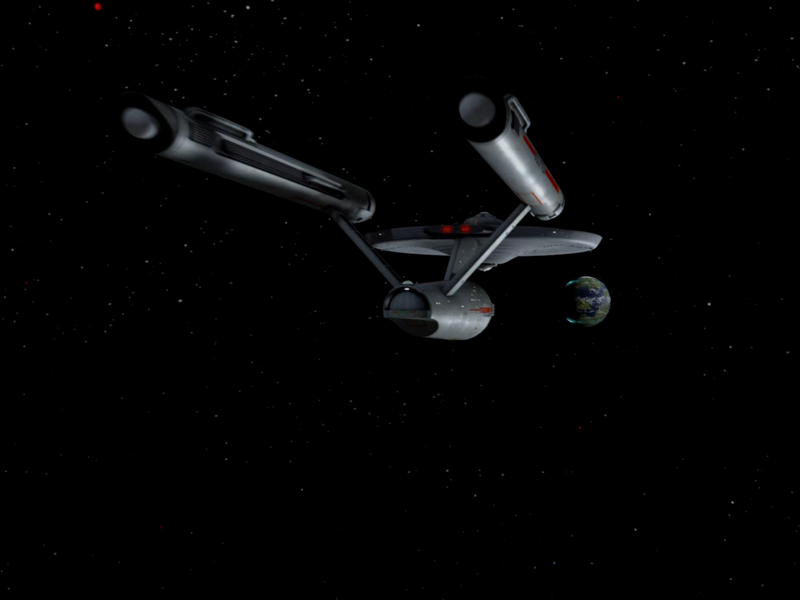 When Kirk returns to "an empty ship," there must have still been a few remaining to beam down. There's nothing I see in the episode that's inconsistent with this. 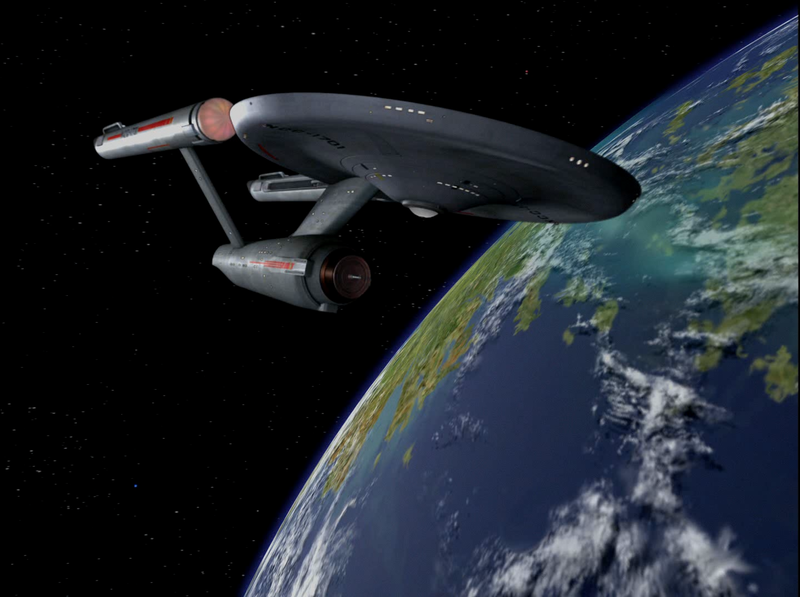 In fact, just before he goes back, Spock says, "Almost the entire ship's complement has beamed down." So Kirk could still get back up to the ship. 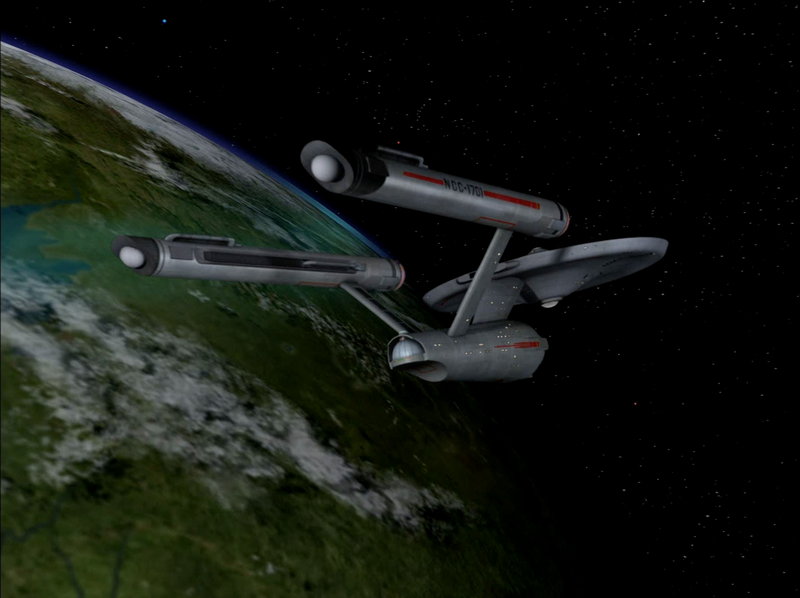 Once he reaches the bridge, _then_ the very last of his crew leave the ship. I think the first 20 minutes is fine. Spock is already infected halfway through the 16th minute. Think of it as "the first fifty pages" of a novel, if you have to. Hey, for once the planet isn't rotating way too fast! In fact, it looks like it's not rotating at all, which is how it would really look. Bravo! A fun episode, but as usual, there are some problems. This is paradise? Working the fields? Not _my_ idea of paradise! If you ask me, in "paradise," _someone else_ works the fields, _someone else_ does the dishes. OK, to be fair to all involved we'd need to make robots to do all the grunge work. I suppose that's the trouble with paradise: somebody somewhere has to pay for it. Even the berthold rays can't do everything. And what about entertainment? Ah, the spores numb you from the awfulness of boredom. And they also give you perfect health! But can they regrow an amputated limb? That would be pretty good! --- Yes, it'd be cool to use it as the all-purpose cure. You get sprayed by the spores, then use strong or violent emotions to return to normal. (Pretty bizarre cure.) But it doesn't ruin the point of the story. Oh, another thing that would help make a place paradise is a perpetual motion machine. Yeah, good luck making one! What about plumbing, and all such related matters? Could get pretty messy. And what about other basic supplies? This is paradise? Where do the berthold rays come from? I don't think it was ever said. They were just there. It _was_ said that they were a "recent discovery." Still. "Is it possible that they're not [alive]?" asks Sulu. Say what? They grow only enough food for themselves. Well, that's bad if there's a famine (unless you include that in the calculation). Aside from that, whom else should they be growing food for? Did they travel there to start a business? 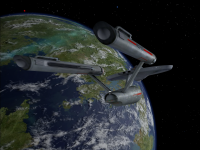 Why does Star Fleet insist on a forced evacuation due to the danger of the berthold rays? It's pretty damn obvious that after three years, the colonists' superb health shows that they're not in any danger. (Of course it'd be less of a story without the orders for an evacuation.) And why should they leave if they don't want to, anyway? They're self-sufficient and happy, even if boring, stagnant, and unproductive. And they're not bothering anyone. Leave 'em alone. OTOH, they apparently didn't want that life once they were forced off the spores. (Well, except for Leila, who apparently wanted Spock at all costs.) Could go either way, I guess. 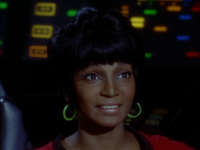 Additionally, who the hell is Star Fleet to order them around, anyway? Lots of fun stuff, esp. with Spock, as has been pointed out by others. 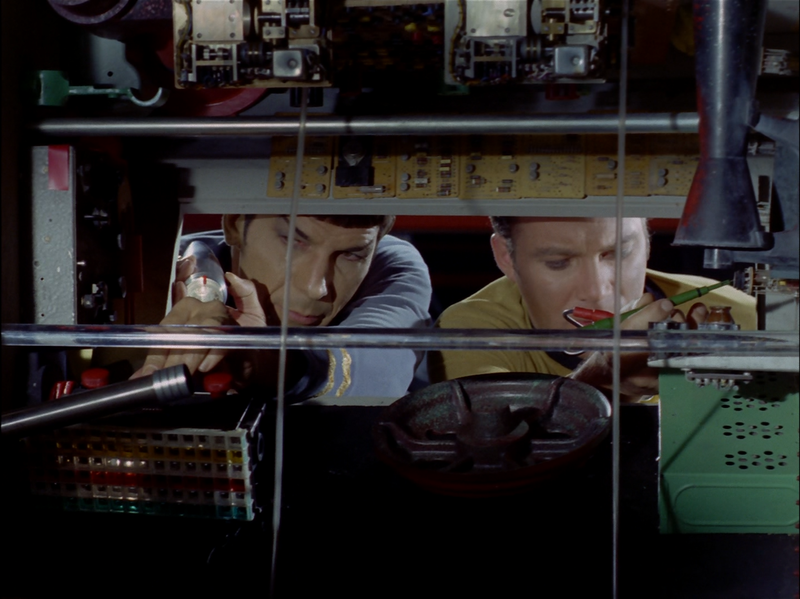 Most of the scenes with Spock high are terrific. It's always a blast when he smiles so much! Fortunately it's quite rare, so as to not ruin the effect. 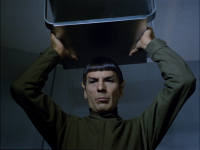 The only other episodes I can think of offhand with Spock smiling big-time are "The Menagerie" (yes, "The Cage" part) and "Plato's Stepchildren". Oh, and "Where No Man Has Gone Before". McCoy definitely sounds high on the spores. Sort of like a drunken (for lack of a better word) happiness, but still mostly in control of himself. He must have had a strong dose! 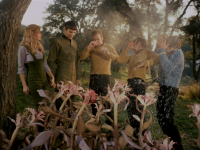 How is it that when Sulu and the blue-shirt were sprayed by the flower, not even one spore landed on Kirk, even though he was right next to Sulu, whose chest got covered by plenty of them?! OK, he was maybe few inches back. Still. But since it was obviously intentional, it was well done. 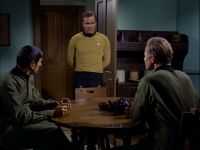 The spores only hit Sulu and the blue-shirt. I wonder how many takes it took. Notice that the plant that did get Kirk, wasn't there in the scenes just prior. Perhaps overlooked, or maybe there just wasn't enough time to redo the scenes due to the tight shooting schedule. And the plant picks itself up to shoot at Kirk! I loved it when Uhura turned around in the seat all glowing with some kind of high: "Oh, I'm sorry, Captain. I can't do that," and with just the right music to set the mood. Pretty good. I love the scene where McCoy gets hostile with Sandoval. Why does the subsonic transmitter make that obnoxious noise on the ship? (Speaking of which, tricorders also make an annoying noise.) I'm almost amazed they didn't have some "audible" subsonic sound down on the planet. But I am glad they didn't. And via what communicator are they broadcasting these subsonic sounds? How does that work? "We wanted to make this planet a garden," Sandoval says. This is the big goal? 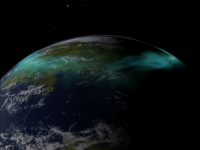 To make the planet a garden? I see. 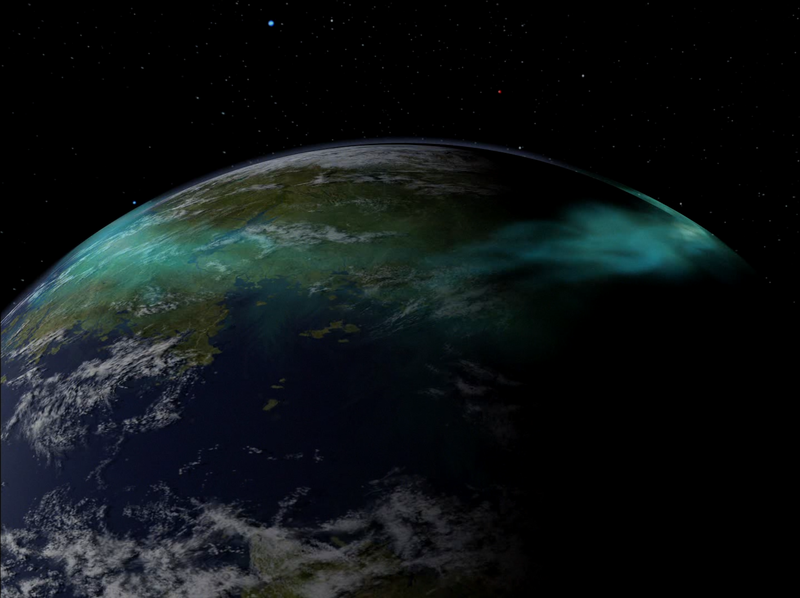 Travel dozens of light years or more to some strange planet to make it a garden. Some goal. Maybe I'm missing something here. 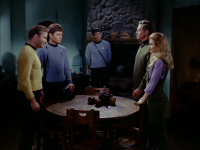 The scene with Kirk goading Spock into a fight was pretty good! Isn't Spock visibly concerned with letting down Leila at the end? Isn't that emotion? Isn't there just that slight smile on his face when he says, "You couldn't pronounce it"? Speaking of Leila, I think Jill Ireland did a great job as her. That "sweet" flute music is used several times. It works best at the end when Spock says, "I have little to say about it, Captain, except that for the first time in my life, I was happy." What motivates him the rest of the time? Logic doesn't provide a goal; it just helps you get there. I'd definitely rate this episode higher than 3. Certainly at least a 6. Perhaps a 7 or an 8. There's definitely lots of great stuff in this episode! 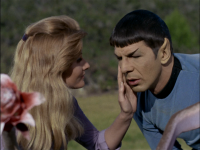 Seeing Spock in love caused me to forgive all the plot contrivances here. 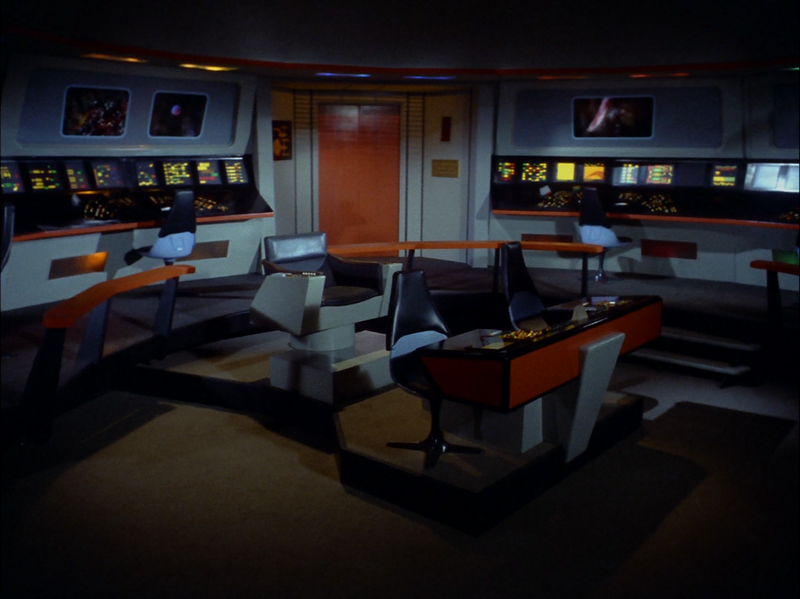 Kirk's loneliness on the bridge was compelling as well.